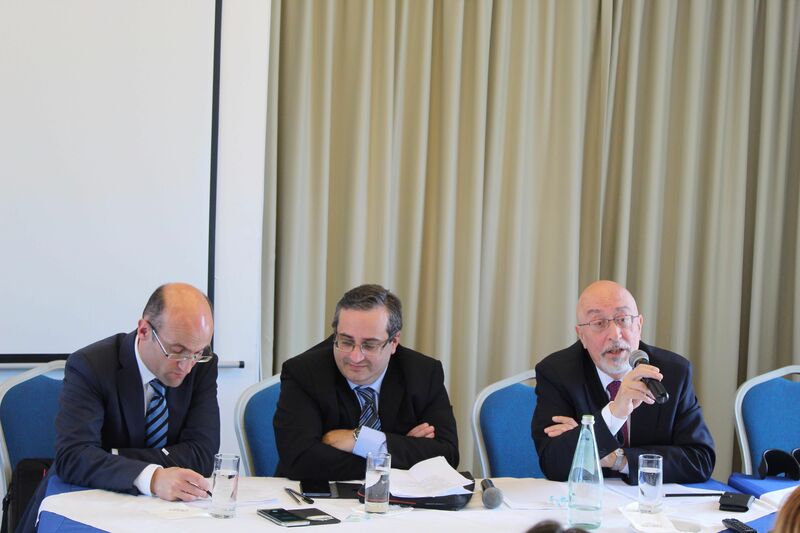 Marriage was a topic brought up repeatedly during the GħSL Supremacy of EU Law Conference, but not in its traditional form. “The issue of supremacy comes up precisely because it is a marriage of convenience”, said Dr Ivan Mifsud during his keynote speech. After the two opening speeches by Dr Elena Grech, the Head of Commission Representation in Malta, and Dr Mark Harwood, a member of the European Direct Information Centre at the Institute of European Studies at UOM, the conference welcomed Dr Ivan Mifsud, the Head of the Public Law Department, who joyfully remarked that he had never given a keynote speech before. “I look at EU membership as a marriage between a country and the member states” said Mifsud. This analogy was extremely amusing to the crowd as Mifsud went on to describe a “healthy marriage”; such as in the USA where there is no issue of supremacy in the State of California. He then went on to describe the messy divorce that the UK is undergoing at the moment. Lastly, he described the “marriage of convenience” taking place in Malta. This reference towards marriage was a simple way of explaining the idea of supremacy. “What is considered more supreme?” The EU constitution or our own constitution asked Mifsud. Marriage was once again brought up during the panel discussions related to supremacy. “We have used the simile of marriage for a while and you have got to make it work. When I got married we had to make it work. My wife has a strong personality and so do I, so how could we make it work? We decided to vote on everything, but what would happen when it is one to one? The president would have the deciding vote and for the first 100 years of our marriage my wife was the president” said Judge Anthony Borg Barthet, a Judge in CJEU for 15 years, a remark that filled the room with laughter. On a more serious note during the panels the idea of unity, a “we”, was also mentioned frequently. “It is not us, it is not them, it is we” said Dr Ivan Sammut, Head of Department of EU and Comparative Law at Faculty of Laws. Sammut and even Barthet focused a lot on the need for member states to work and function together with the EU. “If there is a conflict between internal legislation they must solve the conflict” said Prof Andrea Pierini, from the University of Perugia, on the topic of Italian Constitutional Law. Pierini commented on the dualist interpretation taken on by the Italian government earlier on in the conference. GħSL is grateful for the funding and support provided by the European Direct Information Centre at the Institute of European Studies at UOM. A member from the EDIC began the ceremony with a short speech. Dr Mark Harwood promoted the European elections and urged students to vote. “Malta has the highest turnout in Europe with regards to voters, but the rate is still significantly lower than that of general elections” said Harwood.